Ready to take on the world? Equip yourself for the challenge at UNC Asheville. UNC Asheville’s Master of Liberal Arts and Sciences Program (MLAS) is a broadly interdisciplinary program designed for a wide spectrum of adults, and provides a challenging, structured liberal arts curriculum at the graduate level. The opportunity to study at UNC Asheville, the designated liberal arts university in the University of North Carolina System. Stimulating contact with a mature, enthusiastic community of recent graduates, working professionals and lifelong learners. 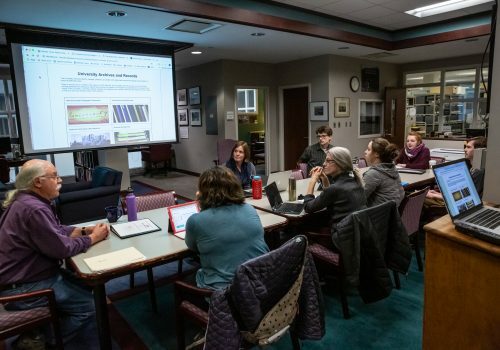 Small seminars led by faculty who are experts in their fields, have published works to their credit, and are fully committed to teaching excellence and student success. The ability to create an individualized program of study that best meets your personal needs and interests. The chance to engage cultural, social and theoretical issues critical to “The Human Condition,” providing students with a relevant graduate education for the 21st century. Evening seminars, which accommodate various work schedules. Whether you’re passionate about creative writing, astronomy, climate change, history, or if you want a flexible, build-your-own program, the Master of Liberal Arts and Sciences at UNC Asheville can transform that passion into an advanced degree.